The 3D-Scanner is used directly at crime scenes by crime scene investigators. 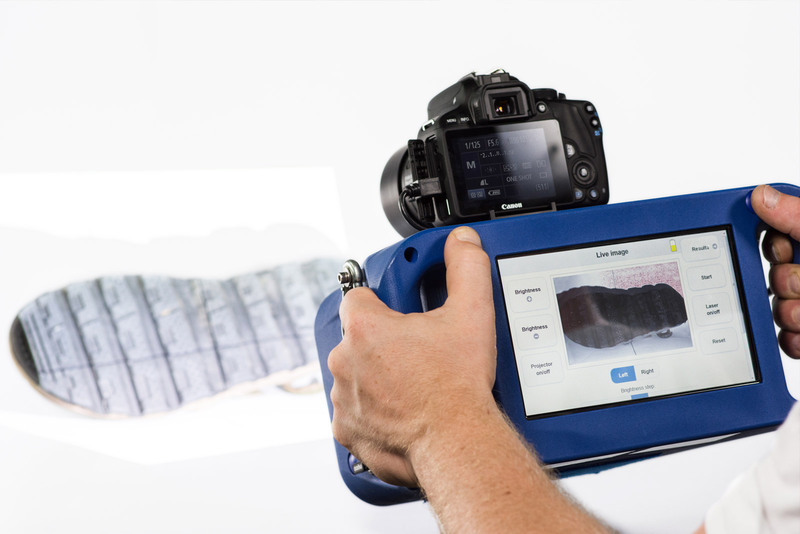 The 3D-Scanner is handheld or mounted on a tripod, battery powered and records footwear and tyre impression traces in a fraction of a second. The scanning technique is based on “fringe projection” combined with high resolution colour images. A sequence of fringe patterns is projected onto the scene while two cameras capture them from slightly different positions. This technical approach enables the calculation of a highly resolved 3D point cloud of the scene. Colour images are taken by an attachable high resolution camera simultaneously with the 3D measurement. They can be later mapped onto the 3D point cloud to distinguish between characteristics in the impression trace and distortions such as small stones or leaves. Fig. 2 shows the complete prototype scanner with attachable high resolution camera. 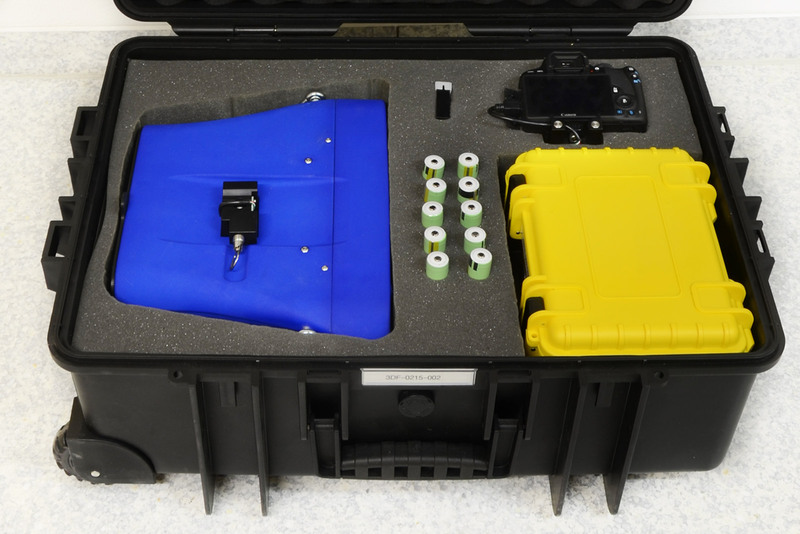 The prototype system comes equipped with an outdoor travelling case including reserve batteries, recharging devices and calibration pieces (Fig. 4). Fig. 1 shows the handheld usage of the scanner. 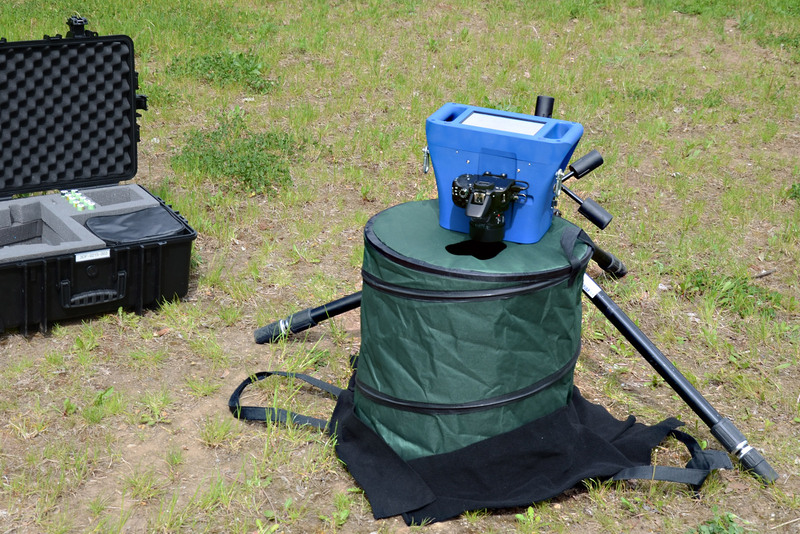 For bright outdoor conditions the scanner can be combined with a quickly assembled shadow box to avoid interference with the measuring principle (Fig. 3).